Shares of SAIL, APL Apollo, Welspun Corp, Coal India, Tata Steel, and Jindal Steel were leading the index’s gain. The Nifty Metal index gained 2% in Monday’s morning session as upbeat Chinese data and firmness in global equity markets resurfaced investors' optimism regarding the global demand growth. The Chinese government data on the weekend showed that exports rebounded in March to a five-month high, while new bank loans jumped by far more than expected. Further, hopes over trade talks between the US and China also elevated metals stocks. As per media reports, US Treasury Secretary Steven Mnuchin on Saturday said the US-China trade agreement would go "way beyond" previous efforts to open China's markets to US companies and hoped that the two sides were "close to the final round" of negotiations. Shares of APL Apollo were up after the company entered into an agreement with Shankara Building Product to acquire its 200,000 MTPA tube manufacturing unit based in South India for a total consideration of Rs70cr. The company proposes to fund this acquisition through internal accruals. The acquired facility has established manufacturing lines for GI pipes and GP pipes, which are APL Apollo's high margin and value-added product segments. Shares of Tata Steel gained 2%, while those of Jindal Steel, JSW Steel, Vedanta, Hindalco, and NMDC rose 1% each. Meanwhile, equity benchmark indices were trading in the green on Monday with the Sensex gaining 95 points at 38,864 levels. 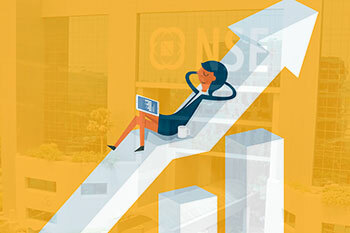 The Nifty rose 31 points to trade at 11,674 levels.